In the developped world, 40 years is considered half of a lifetime. In terms of development it’s what we call a good start. Indeed, sustainable development takes time. Angèle and André Gingras, founders of SOPAR, understood early on that time would be their best ally. To make a long story short : here are some highlights. When she left India in the 1970s to be with her Canadian husband, Bala Theresa Singareddy (Angel Gingras) carried with her a lot of memories of the poor and disadvantaged in her motherland. Her husband André shared his wife’s dreams to empower the ones she deeply cared for. In 1977, they started SOPAR and fifteen years later came Bala Vikasa, a sister organization, in India. Both organizations are devoted to sustainable development in Indian rural communities. The aim has always been to help poor rural communities to take control of their destinies. By identifying their assets through training, everyone can live a better life independent of skill levels, caste or religion. With knowledge comes change of attitude. People start to act and build on their assets. They contribute time, money, energy. SOPAR-Bala Vikasa provides support, guidance and professional expertise. From the beginning, the organization focussed on four main areas of intervention: women and widows, water and sanitation, environment and food security, children and youth. From its many years of experience SOPAR-Bala Vikasa has derived 10 golden rules of development which have become the guiding principles of its development approach. These rules assert that sustainable development takes time and is never free. It starts with the individual, or a small group, and slowly reaches the entire community, enabling each of its members to participate in true solidarity to the advancement of the whole. An increasing number of rural villages have successfully applied those rules over the years. Gangadevipally is an example of how SOPAR-Bala Vikasa paved the way to their development. This village attracts enormous attention throughout India as a model for development. Even Prime Minister, Narendra Modi, selected Gangadevipalli as one of three model villages for his plan to modernize rural communities all over India. Established in Warangal, Telangana, the Bala Vikasa People Development Training Center’s (PDTC) initial goal was to build the capacity of Indian rural villagers so they could lead development projects in their own communities. To this day, not only Indians, but also development professionals from more than 60 countries across the globe have come to PDTC to learn best practices and effective ways to strengthen the development process of poor communities all over the world. More and more companies and organizations see Corporate Social Responsibility (CSR) as a means to business sustainability. But the usual philanthropic approach creates a “mendicant mentality”. 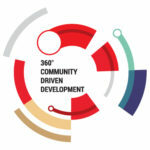 In this context, SOPAR-Bala Vikasa’s new foray into the field of CSR should fill a gap for companies who lack knowledge, skills and practice of a community-driven development. The new Bala Vikasa International Center (BVIC) being established in Hyderabad is already providing training and support to corporations and social entrepreneurs with the aim of equipping them to actively conduct effective corporate social responsibility initiatives. With a few friends and family members Angèle and André Gingras start SOPAR under the name Partage Reddypalem. SOPAR is incorporated. Partneships are established with a few foundations and the Canadian International Development Agency (CIDA). Small programs in education, water management and housing are started. SOPAR members reach 1 000. A small office is opened in India. A year later, Bala Vikasa, which means “small development”, is incorporated as a sister organization to SOPAR. SOPAR and Bala Vikasa launch the Women Program. Creation of Raithu Vikasa Society helping farming communities. The Youth Changing the World Program is launched in Canadian schools. The Irrigation Tanks Desiltation Program is introduced. Establishment of the People Development Training Center (PDTC). 25th anniversary of SOPAR which is now working with 45 partner NGOs. The Water Purification Program is introduced. 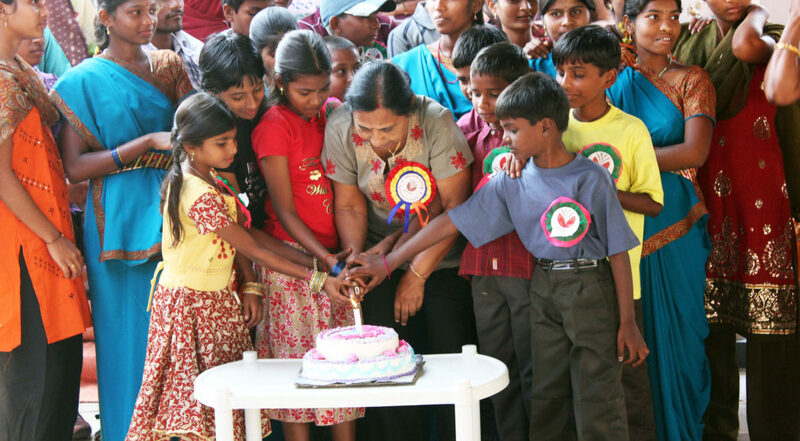 Bala Vikasa Trust Fund is created for the education of orphans and semi-orphans. The PDTC opens its Community Driven Development Training Program to national and international NGOs. The Social Justice for Widows Program is created. SOPAR-Bala Vikasa is now partnering with more than 50 organisations and is active in more than 6 000 villages in South-east India. Introduction of the Organic Farming Program. SOPAR celebrates its 35th anniversary and launches the SOPAR-Bala Vikasa Society in the United States. The foundation stone is layed for the Bala Vikasa International Center, a center for the promotion of corporate social responsability and micro-business development. SOPAR is 40 and looking forward!